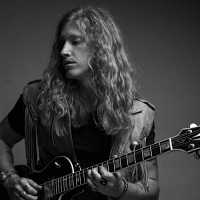 Jared James Nichols is an LA-based American "hard blues" singer, songwriter and guitarist. His band features Hared on vocals and guitar, drummer Dennis Holm and Erik Sandin on bass and vocals. They released their debut album "Old Glory & The Wild Revival" in 2015.